Denver Sales Training Firm Says "Don't Hire Us"
Sandler Training in Denver by SalesGrowth MD, Inc. is a firm that just might tell you to take your business elsewhere. Sandler Training doesn't believe in providing services to clients in search of training unless they are convinced the client is serious about making it a success and that sales training is the right solution. Sandler Training by SalesGrowth MD, Inc. in Denver, Colorado often does something that is virtually unheard of in business these days. They frequently tell prospective sales training clients "Don't hire us." "We aren't the right fit for everyone and often people want us to train their sales team when that's just not the appropriate solution to their problem," says President Chuck Terry. "I would rather not do business with a client than provide them with an outstanding service that just doesn't deliver upon their desired outcomes," Terry further states. 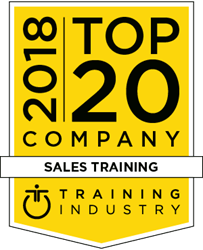 Although Sandler Training by SalesGrowth MD, Inc. is a fast growing firm they believe it is because they are choosy about who they work with and not in spite of it. "Our belief is that if we only work with firms that we are sure we can help we will be far more successful in the long run than just taking money from a prospect that is not the right fit," states Mr. Terry. "We want to work with the right prospects and not every prospect we come across." Sandler Training by SalesGrowth MD, Inc. encourages firms experiencing problems such as declining sales margins, slipping sales totals, and ineffective prospecting results to not jump to assumptions that sales training will be the best solution to their challenges. They advise a more deliberate approach. "We want to go through a process of understanding the clients sales process, analyze their sales template, and assess their sales team," says Chuck Terry. "If analysis reveals they have the right team, the right commitment to improving, and that sales training is the appropriate solution, we can proceed forward from there."